This post is not meant to be personal medical advice, you should always seek medical advice from your own healthcare provider. I love, love LOVED getting all your insights about second trimester experiences on Instagram and Facebook. I also had the great pleasure of being a guest on my good friend Shelly aka Doctor Mommy, MD’s podcast to discuss it – check her blog for even more info and hilarity! Second trimester is for *most* women the best time in pregnancy. Good riddance, first trimester (if you’re still wallowing in that misery and want more info on managing the issues, see my first trimester post)! That cute belly that’s starting to look more unmistakably like a pregnant bump rather than like you just ate a huge breakfast burrito also puts more pressure on your stomach. Notice the loss of space in image above… This can lead to heartburn or acid reflux that can range from annoying to stop-you-in-your-tracks painful. You should ALWAYS get checked out for bad chest pain that is new. If you’re checked out and know it’s heartburn, you can try to minimize with a few strategies. Eat smaller, more frequent meals and not for 1 hour before bed. I know, you’ve probably got the appetite of a teenage boy on steroids right now, but pace yo’self! Avoid acidic food & drink: citrus, tomato, soda, black coffee, and spicy foods are the worst for most, but you might find your own special fire-starters you’ll need to avoid. Use Tums as needed if it’s been ok’ed by your provider. Never more than 6 doses daily, and honestly, if you’re taking 4 or more, you should be discussing other treatment with your healthcare provider. WORD OF CAUTION: The more of these you take, the worse constipation you may get, so beware. Relaxin hormone (yep that’s actually what it’s called) is well at work loosening up your pelvic ligaments in preparation for birth. That along with your new weight up front can often start up some low or upper back pain towards the end of second trimester. Some women also start to get shooting nerve pains including sciatica or the infamous “crotch lightning“. YOGA!!! Prenatal yoga is a fantastic way to ward this off and stay balanced. That slight decrease in fatigue should help you make it to those classes. No prenatal classes near you? That’s ok – head for an easier flow class that’s not a “hot yoga” class and ask the teacher to show you how to modify poses. Heat it up. Choose your flavor – a daily heating pad session, steamy shower or very warm bath can work wonders for the soreness. IMPORTANT NOTE: You must stop as soon as you feel “hot” in your body. Getting overheated while pregnant is dangerous. Massage: I can’t say enough for the benefits of a regular prenatal massage. This is a GREAT thing to put on your baby registry – some places even offer a prenatal “membership” package. Do check that the person you see is trained in prenatal massage – certain positions and pressure points should be avoided. Still not better? Ask your healthcare provider if its ok for you to take medicine, see a physical therapist or consult with a Pregnancy and Webster trained chiropractor that they can recommend. Chiropractors trained in Webster & pregnancy techniques can be a great help, BUT there are some out there who have questionable training since it’s a less well-regulated field. Make sure you’re going somewhere safe!! You thought you were peeing more in first trimester, didn’t you? Get ready ladies – more bladder pressure + tiny human karate chopping = soooo many potty breaks. Advantage of this is you can get your 10,000 steps in daily just walking back and forth. Don’t let this deter you from drinking enough water – that can lead to pregnancy complications. Accept it. Don’t fight it. It’s only going to get worse. Go with the flow (see what I did there?? #PunIntended). You might also get the fun experience of snissing at this point too: sneezing that makes you piss yourself. Great reminder to get busy on your Kegel program! Anybody heard of Braxton-Hicks? Named after the random dude who decided to name the phenomenon back in 1872, these are contractions that are NOT part of labor. They can start as early as 16 weeks for some sensitive mamas, more commonly toward the end of second trimester or beginning of third. However, some women don’t get them at all – and that’s ok too! The thought is that these are little “preparatory” contractions, the uterus is working on it’s squeezing abilities, but they are not coordinated in a way that leads to any change in your cervix. Some women feel them as a slight tightening, like your pants all the sudden downsized on you but for others, they are quite uncomfortable with pressure-like sensation. They are by definition irregular. They can be triggered by being dehydrated, pushing yourself too much in exercise, having a full bladder or completely at random. No need to worry about them UNLESS: Of course if you have known risks for premature labor (talk about this with your provider). OR you have 3-4 in one hour, they persist even though you hydrate, rest and empty your bladder, the discomfort lasts longer than a couple minutes for each one, you are otherwise ill or have vaginal bleeding with them. When in doubt, ask YOUR healthcare provider. 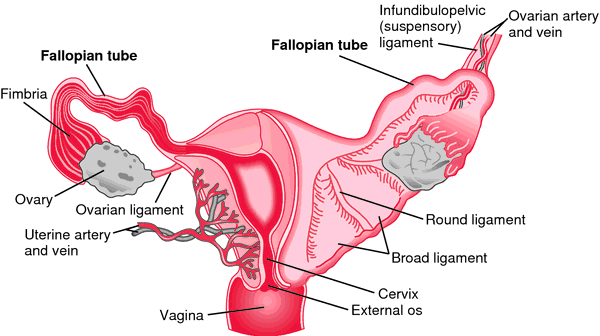 You probably have never heard of or known you had a round ligament until pregnancy. It’s essentially a tether for the uterus to keep it where it’s meant to be. It stretches as the uterus expands in pregnancy and can be tweaked with a sharp sneeze or cough or even just standing up. It causes a pinching or sharp pain in the side of your lower belly or groin that lasts for a few seconds to a minute then goes away on it’s own. Unless the pain doesn’t go away – no need to worry about these either. If you’re not the pregnant person yourself, don’t assume ANYTHING. Some of us have pregnancies where none of the first trimester misery gets any better and then second trimester just adds to it. Some still don’t look pregnant. Some are still puking. Some are still so tired they want to take 3 naps a day. Ask how they’re doing. Ask how you can help. Restrain yourself from commenting on the size of a woman’s belly unless it’s to tell her she’s beautiful. Period. Hard stop. No one needs to hear they’re soooo small or sooo huge. In fact, a simple, “you’re beautiful” is a good comment for all 3 trimesters – because you are, mamas!! What are your favorite parts of second tri? Any other weird symptoms you have/had?? Comment below for the other mamas! Dr. Annie is a family doctor, mama of 2 with 1 more on the way in the Sacramento area who has experienced all of the above.